The city of Jamshedpur being an important commercial centre and industrial zone in Jharkhand, has a well organised and systematic network of police force, with highly dedicated and service oriented police officers. They are courteous, compassionate and highly professional and efficient in discharging their duties. They maintain law and order within the city by preventing criminal activities and bringing to justice the law breakers. Police stations have been set up throughout the city, to serve the people and maintain harmony and orderliness in the city. 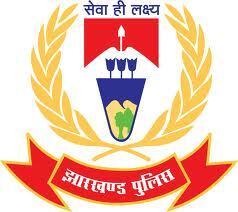 Below is a list of police stations in Jamshedpur along with their contact details. Please read,last line as services not intrested. Society head not interested for removing temporary encroachment.Error regretted. I am really happy that we have very courageous and powerful police in our country. I also want to be police. Mahila thana police is good for women and miss.seema kumari is good lady she is honest and bold lady. I really respect this lady. Please give seema kumari contact number..i have some problem with a fraud case..